#RIPPEDFamily, this week we’re getting to know R.I.P.P.E.D. 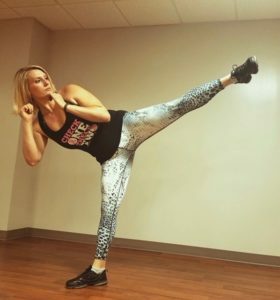 Instructor Alyssa Majeski, one of our winners for this Fall’s R.I.P.P.E.D. 2 Fit Challenge. We spoke to this dynamic force of nature, and boy were we blown away by her courage. Alyssa has had a busy and successful Fall. Between winning our R.I.P.P.E.D. 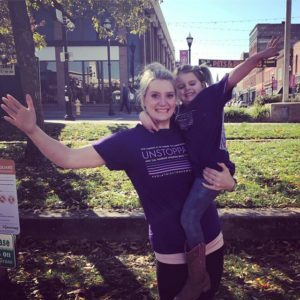 2 Fit Challenge and conquering motherhood, she challenged herself to become a certified R.I.P.P.E.D. Instructor after attending Dallas MANIA on our R.I.P.P.E.D. Reunion Tour. R.I.P.P.E.D. : Why did you choose to do the R.I.P.P.E.D. 2 Fit Challenge? 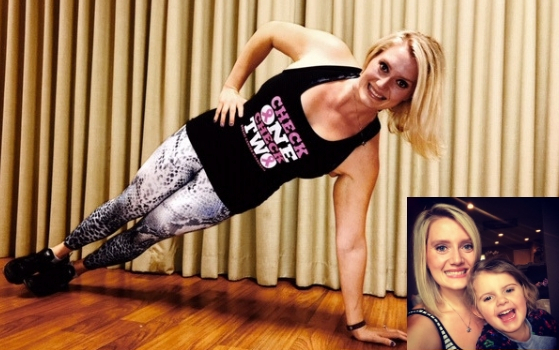 Alyssa: It was more than just wanting to lose a few pounds; it was much more personal for me. When my daughter was born four years ago, she had multiple strokes during her first 24-48 hours. For the first year of her life, we didn’t know what her prognosis would be. They said there was a chance she would never walk, talk or jump. And while it took her a little longer than most children, she eventually did all of those things! My daughter’s first few years were spent in the hospital—a lot. When we weren’t in the hospital—which was two hours away from home—I was driving an hour to multiple therapies: speech therapy, occupational therapy, and physical therapy. My full-time job was her rehabilitation. My life during this time was spent in the hospital, therapy rooms, specialist appointments, or a car. During these three years, I gained a significant amount of weight. I call the weight I gained, my “sad weight” because I was so down, worried, and fearful all the time. My biggest reason for choosing to do the R2F Challenge was because I wanted to show my ‘happy’ again. But there’s good news. I’m not sad anymore and my “sad weight” couldn’t go away fast enough! Both of my kids are thriving. My daughter is my hero and a miracle from God. We aren’t in hospitals anymore and while she still needs therapies, its not urgent, as it once was. My biggest reason for choosing to do the R2F Challenge was because I wanted to show my ‘happy’ again. I was so tired of looking in the mirror and seeing my “sad weight,” because that’s not me anymore. I’m blessed beyond measure and I wanted so badly to look in the mirror and see it, not just feel it. I saw R2F Challenge as the perfect tool to help me achieve my goals. Let’s take a moment. Does anyone need a few tissues? We know one just won’t do after that incredible story. 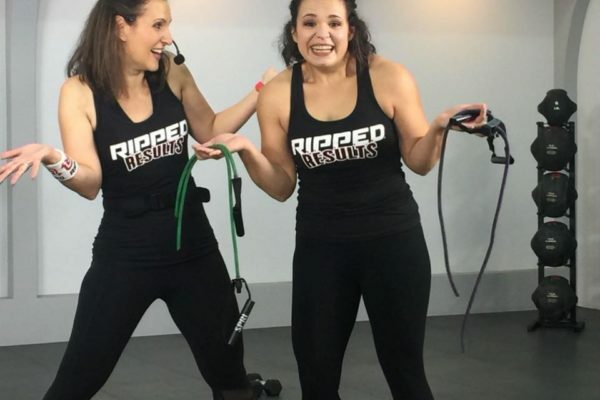 Alyssa: The fact that everyone was in the R2F Challenge Group for the same reason was a very powerful thing. When I commented on posts, I knew there would be support and positivity in return and that prompted me to comment and be more active. The live videos Amy [Wilson] did every Sunday also helped to set my week off on the right foot. She always seemed to know just what to say, as if she was talking directly to me. Master Trainer Kristy McElroy and fellow R.I.P.P.E.D instructor Billie Barnes were also a huge part of my R2F Journey. Even if they didn’t mean to or know it, they consistently motivated me on a daily basis, and still do. Every week I could barely handle waiting to take measurements and pictures! It was like a ‘crazy Christmas morning’ type of feeling. 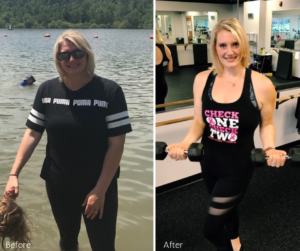 Alyssa: Seeing my progress each week! I’m a very goal-oriented and visual person, so physically seeing my body change in a positive way kept me motivated and excited. Every week I could barely handle waiting to take measurements and pictures! It was like a ‘crazy Christmas morning’ type of feeling. Alyssa: Meal planning was an area that changed for me the best. If I didn’t plan out my meals, it was much more difficult for me to stay on point. My perspective on food also changed completely. If I made a mistake with my food choices, I learned to allow myself grace to make a better choice in my next meal. Before this challenge, I would freak out and it would take days to get back on track. I also push myself so much harder during my R.I.P.P.E.D classes. Alyssa: ‘Keep an open mind.’ I know it’s cliché, but it’s also very true. I was a life-long ‘calorie counter.’ So it took me a good minute to wrap my mind around blood-sugar stabilization, but once I did, it was very easy to apply it to my meals. I’d also say, ‘trust the process.’ If you can do that, then there’s no stopping you, because, like R.I.P.P.E.D., anyone can do this. Thanks so much for sharing your journey with our family Alyssa! Words can’t express how much your strength and commitment to your health, happiness, and family has inspired and impacted us. If you made it through this heartwarming story, there’s more where that came from. Check out our catalog of inspiration on our blog. Are You Ready To RUMBLE? 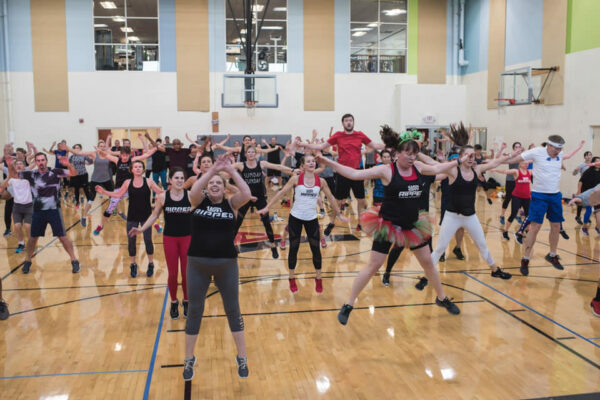 Why This Workout Is Perfect For YOU!